EA has officially announced, by way of SSX Creative Director Todd Batty, that the upcoming relaunch of this popular snowboarding franchise has been delayed by another two weeks. The reason for the push back from February 14th, 2012 to February 28th? The crew felt the game needed some more polish. Over the course of more than 10 years of making games I have not worked on a single project where our team did not wish, coming down the home stretch, that we could have just a bit more time. Time to do all the little things that may not be noticeable during the first hour or two playing the game, but are appreciated over the course of days, weeks, months and beyond. Batty went on to point towards SSX3 and Tricky as evidence of what a little polish can do to a product. Both of those games are often cited as timeless snowboarding classics. Delay it much further and you'll be calling to gamers after the skiing and boarding season is over. Which, now that we think about it, may not be all that bad. By the time we're down on our respective mountains and slopes, obviously still yearning to carve that sweet velvety powder, SSX will fall in our laps to satiate our needs. Good plan, EA. We're totally on to you. 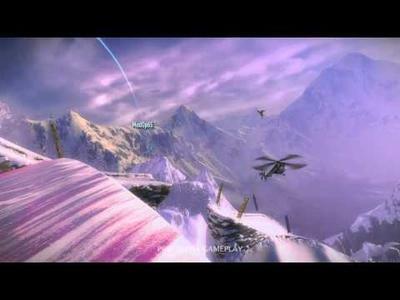 SSX will now launch for the PC, Xbox 360 and PlayStation 3 platforms on February 28th, 2012. We'll accept the wait. We'd rather see a well polished game at launch than hope for a patch a few weeks later.